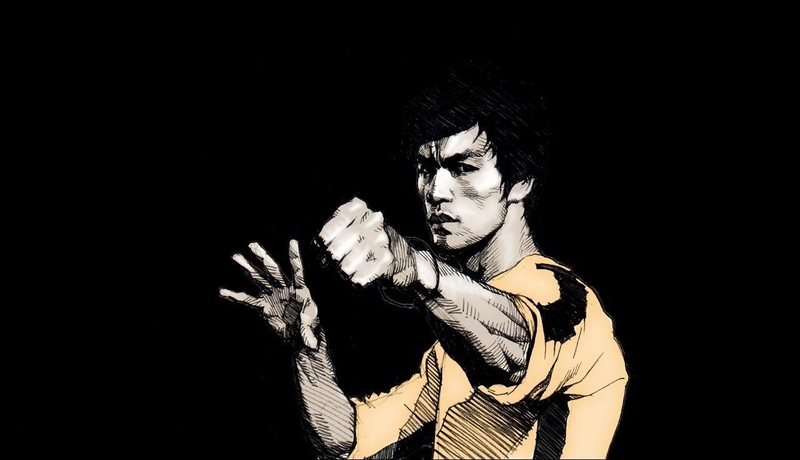 Below are some interesting facts about Bruce Lee that you may not ever have heard of. Bruce Lee's Family Gave Him a Girl's Name: "Little Phoenix"
Bruce's family never called him "Bruce." They preferred to call him by his nickname "Sai Fon" or "Little Phoenix." It was a girl's name, deliberately chosen by his parents because they believed that evil spirits did not like boys in the family (their firstborn was a son who died in infancy). So, by giving Bruce a girl's name, they believed they could fool the demons into sparing his life! Actually, "Bruce" was a name given by a nurse at the Jackson Street Hospital, San Francisco, where he was born (Bruce's father was traveling with an acting troupe at the time). The nurse thought that giving the baby an English name would help avoid any confusion with his American birth certificate (yes, Bruce was an American by birth - he never had any other citizenship). Bruce wasn't pure Chinese - he was actually part German (his grandfather from his mother's side was half German). Academics didn't interest Bruce in the least. After primary school, Bruce entered La Salle College, an English-speaking boys' secondary school in Kowloon, Hong Kong, where he often got into trouble. Bruce was expelled from La Salle for disruptive behavior. Even after his parents moved him to a different school, Bruce kept on getting into street f!ghts. Actually, Bruce studied dancing as hard as he studied martial arts: he was an excellent dancer who, at 18 years of age, won the 1958 Hong Kong Cha Cha Championship! Bruce was also a great boxer: he won the 1958 Boxing Championship - by knockout, of course. Want to challenge Bruce Lee? Just tap your foot on the ground! After he got famous, a lot of people thought they could beat Bruce - they would walk up to him, tap their foot on the ground (symbolizing a challenge) and then proceed to attack him! Well... maybe not that literal, but Bruce's popularity certainly attracted a lot nutcase trying to prove they're better than him. Server responsed at: 04/25/2019 10:25 a.m.